Co-Optimus - News - Garden Warfare 2 Steals Mass Effect Tech In "Grass Effect"
Let's hope Zombies never make it to the Citadel. In the vast litany of video game history, zombies have wielded weapons both real and fictional. The brainless undead hordes from Dark Souls stagger around with enormous swords. Some jerk (Hitler) decked out an army of zombies with SS uniforms and tommy guns in Sniper Elite: Nazi Zombies. The most recent Call of Duty game even had them loaded with crazy future tech. 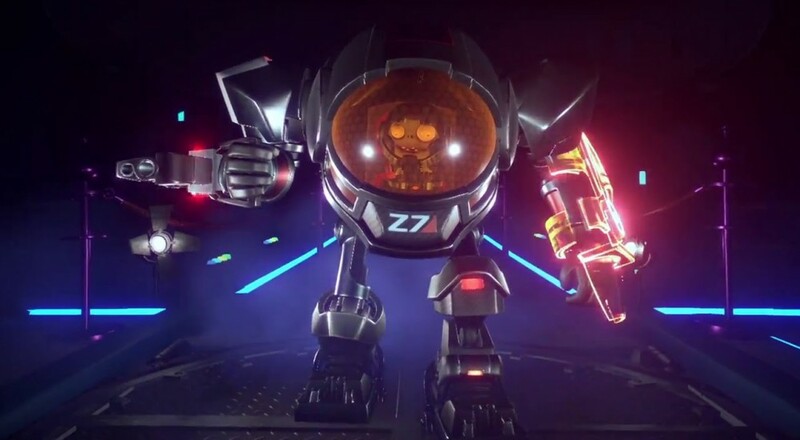 But now, with Plants vs Zombies: Garden Warfare 2, those infernal undead can finally unleash the power of the bipedal mech. Garden Warfare plops down one lucky zombie in to a Mass Effect spoof'ed up mech to go nuts on any vegetables its way. This extra special mech comes to us as a special preorder bonus for the game's launch, February 23rd of 2016. I guess that's a bit of a ways off, but if you've been waiting for that big PvZ / Mass Effect crossover, now's your chance. I'm guessing the "Z" in "Z7" stands for Zombie. The mech wields both a standard ME style assault rifle, and also the signature Engineer tool utilized by Commander Shepard and crew. It's a cool little bit of fan service for any ME fans out there. Page created in 0.4527 seconds.